These years, an increasing number of people want to engage in locksmith industry, many civil locksmiths also want to join. I summarize 6 pieces of advice to the locksmith who wants to step into car key programming, in the aspect of invest, key programmers and cutting machines and some more attentions. Firstly, how much money and what ways to invest, it depends on your professional skills and budgets. Better ask for advice from the elder master and the experience locksmith. No device can do all, High price not means good quality, and not all machine is suitable for you. In order to avoid broking vehicle or making the vehicle can’t start, advise you choose the machines which have been proved that can work for a long time in the market, and among the same products which sold by many sellers, not the cheaper the saver, some sellers sell the products at a lowest price, but they don’t provide essential technical support, when you encounter problems they will not answer you, the money you save is meaningless. The more technical support you get, the more function the device can realize, therefore, the cheapest one is not suitable. Then what about the high-end tools, I have proved the most expensive tools Is not necessarily the best, such as the expensive Tango key pro, original AVDI, key pro M8 and more, they are all international tools and also very expensive, but actually the most expensive is not necessarily the best, the update operation is neither suitable for the junior locksmiths, the locksmith who has not enough budget will not afford to the update fee or the adapter fee. 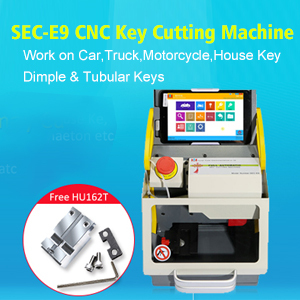 The freshman is not advised to invest the newest machines, for the senior locksmith they are experienced when they meet any problems and find the solution, but for the junior locksmith, when they meet any problem, they will have no any idea, if wrongly solved, the vehicle may be broken or can’t start, then you will be frustrated and lose confidence to program key. Therefore, if you are a junior locksmith, just wait until the senior locksmith prove the newest machines can work well. And you are suggested to start from the easier steps to the difficult steps, for example, firstly use the tool that needs not to remove the chip before use the tool that needs to remove the chip. Thirdly, a grade store design will impress the customers, and the store with bad display will give the drivers bad impression that less profession and less reliability, then they are not willing to let you program his car. And you are supposed to be familiar with most brand car models, it is very bad to ask others or search the materials only after the driver drives the car to you, the more you know the more customers trust you. Take the battery change for example, when the car owner give us remote key and ask us to change the battery, usually we will directly change the battery and return to the driver, it seems to be easy, right? But, some auto locksmith react they encountered these incidents: after the battery changed, the remote control does not work, or the driver say the remote control distance is too short, even can’t start the vehicle. Why? There are three reasons: 1) the remote key code is lost and need to match again. 2) The remote key is damaged for the unprofessional operation by the locksmith. 3) The remote has problem before the driver gave you to change battery. As for the reason three, I advice after you get the driver’s key, the first thing to do is to test whether the driver’s remote key can work or not and the remote has frequency or not. Or you have better change the battery within sight of the owner, and the driver will believe you do nothing accept change the battery, although it is the phenomenon of lack of trust between you and the driver, but it will avoid some unnecessary troubles. Besides, before copy the new key you have better do the following work: 1) check if the key can work or not by inserting it into the car and try to start the car; 2) check if the warning light flash on the dashboard; 3) check if the light flashes when you use remote key to open or close the door; 4) if necessary, check the glass lift. To do the 4-steps work can avoid the misunderstanding between our locksmiths, according to my experience the car driver maybe thinks it is caused by our locksmith improper operation. 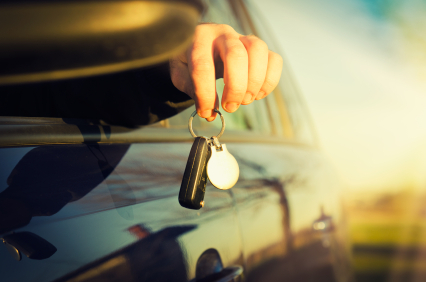 Fifth, In order to peacefully deal with the locksmith industry for a long time, please strict compliance with the law, because car decoding involve motor vehicles identity, the vehicle that lost all keys is required to record and verify identity, It is easy to check if any future problems. Do not trap into vehicle robbery and property dispute because of immediate benefits. Finally, advice you make some locksmith friends, one good locksmith friend prior to ten key programming machines, as long as you are willing to learn and keep passion, your friends will help you when you have troubles during daily work. According to my years of experience, I suggest you some key programmers according to different car models and key chip. In conclusion: which one tool to buy, it depends on your budget and needs, wish you earn more profits with less investment.